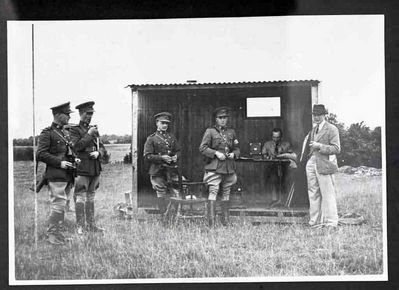 Glass plate copy negative showing observers standing outside a hut in a field. Two men are carrying binoculars. Two civilians are present in the photograph. One civilian is sitting at a desk and appears to be writing while smoking a pipe.